About Us How Can We Know God? So What’s the Story with God? In a 2009 survey of social attitudes, around 71% of Australians stated that they believe in God or a higher power. Just over 50% believed in life after death and a heaven and around 40% believed in miracles. Yet many people are confused about who exactly he is and – if he exists – what does that mean for everyday life. Here’s a few common questions about knowing God and some answers from the bible. 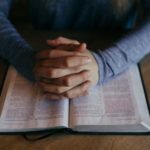 Is it possible to really know God? Yes it is. In fact, it is actually possible to be friends with God, to bring him joy and – like a fragrance – even please him. A lot of people do bad things. Surely not everyone brings God joy and pleases him? Correct. The bible says that we have been blinded to spiritual things. It’s like a veil prevents us from seeing. How then can anyone perceive God? The same God who in the beginning said, “Let there be light” can also make his light shine in our hearts. What is it like to have God light up your heart? On the outside, we may not look any different. But inside, there’s the most wonderful treasure. The life of Jesus is now alive in us. Your present body is like a tent. Just a temporary dwelling. The real you – that is the inner you – will live forever in a new body. What does it mean to have Jesus live in me? Well, you are a whole new being. It’s the ultimate re-set. The old life is gone and a new eternal life begins. That’s the life that brings God joy and pleases him. But what about the bad stuff that I've done? If you belong to Christ, God will no longer count your sin against you. You’re forgiven. Jesus Christ offered to take our sin, so that we can be made right with God. Do I have to earn this by being good or something? No, it’s God’s gift to you. Just accept it. How do I accept all of this… make this new life and friendship with God happen?